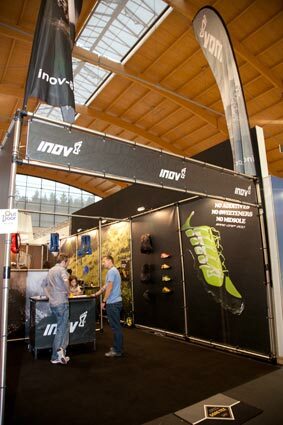 Inov-8, locally distributed by Rebel Elite Fitness, started 8 years ago and was at the forefront of the barefoot/minimalist running trend. All their shoes are neutral and encourage runners to use their natural stride to achieve optimal running efficiency and reduce injury. Inov-8 has a comprehensive range of running and outdoor soles for different terrain; each offering a different function, whether it is a sole with spikes or a skin sole. 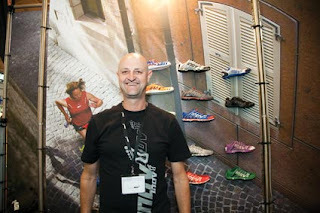 Inov-8 has been working closely with SA triathlete Claude Eksteen to produce a shoe with no heel to forefoot differential, a broad forefoot anatomical last and a speed-lacing system as well as heel and tongue pull-tabs to quickly pop the shoes onto your feet during a triathlon. They have also launched a shoe specifically designed for the CrossFit personal fitness training concept with a 3.5mm outsole that has a low profile and facilitates the sensitivity of the foot.